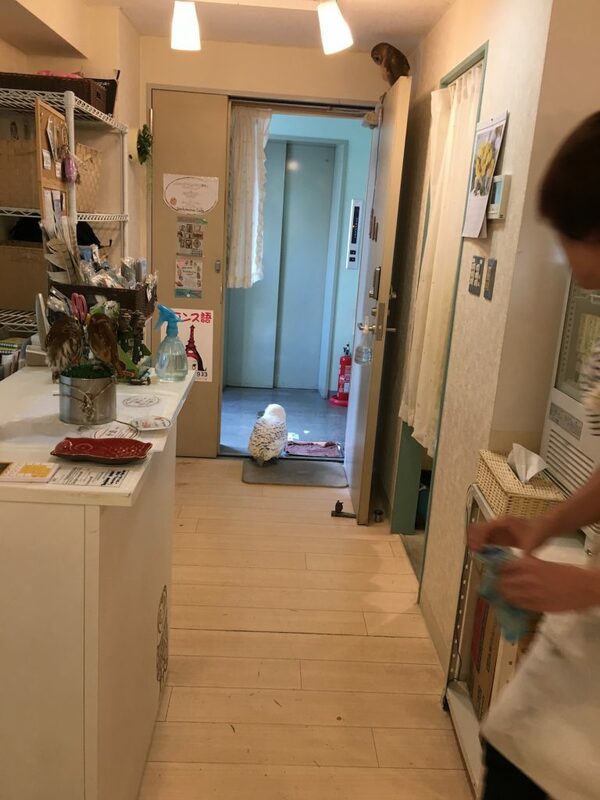 There is the occasional cat or dog cafe in Singapore but it’s nothing compared to the amazing array of animal cafes in Japan. From all kinds of birds, furry animals like rabbits and hedgehogs to more offbeat ones such as goats and snakes! 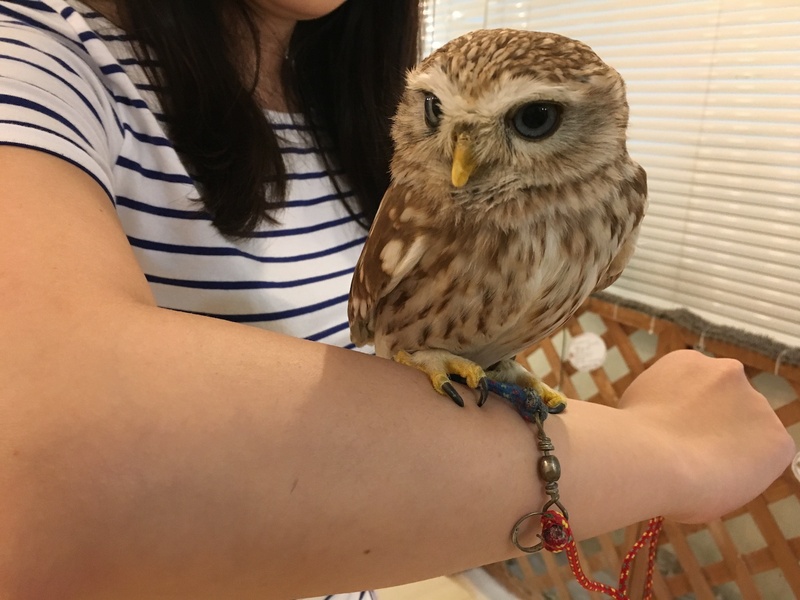 Ever since the Harry Potter movies, owls have become much more popular as pets and as tourists visiting Tokyo, we just couldn’t miss the opportunity to visit one of Tokyo’s famous owl cafes. So we headed down to Ikebukuro, Tokyo to visit Ikefukurou Cafe. 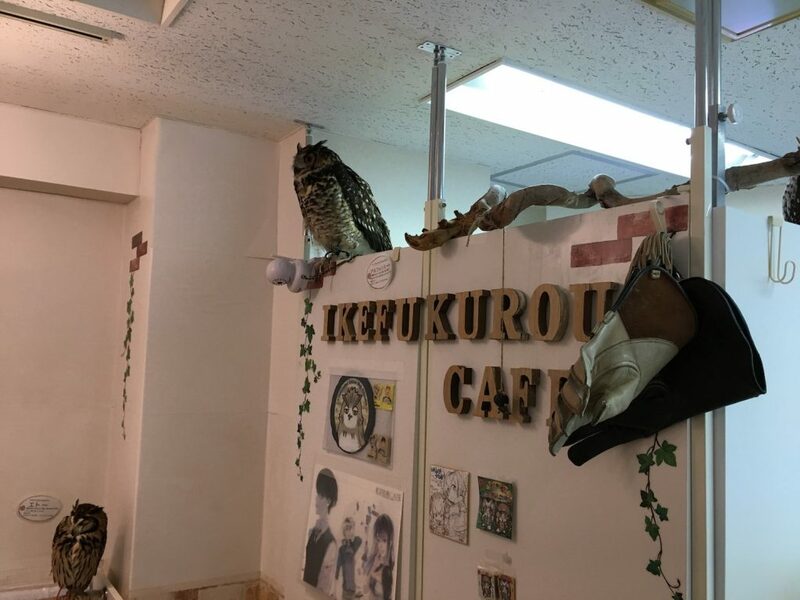 The name Ikefukuro is a combination of the name of the place it’s located in, Ikebukuro and the word Fukuro which means owl in Japanese. 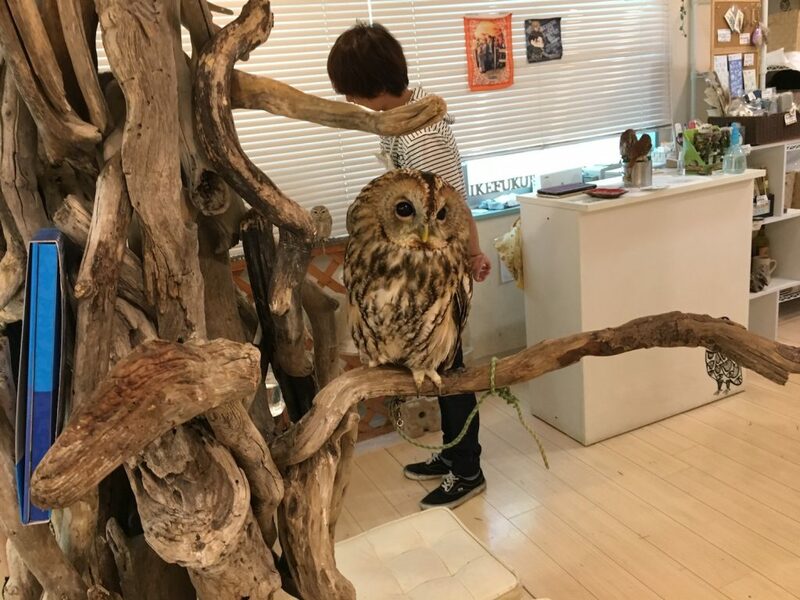 Located on the 6th floor, the Ikefukurou cafe is a cozy place completely filled with owls. There’s an owl everywhere you turn, one was even perched on the door at the cafe entrance! With so many species of owls in different colours and sizes, it was definitely quite the treat. 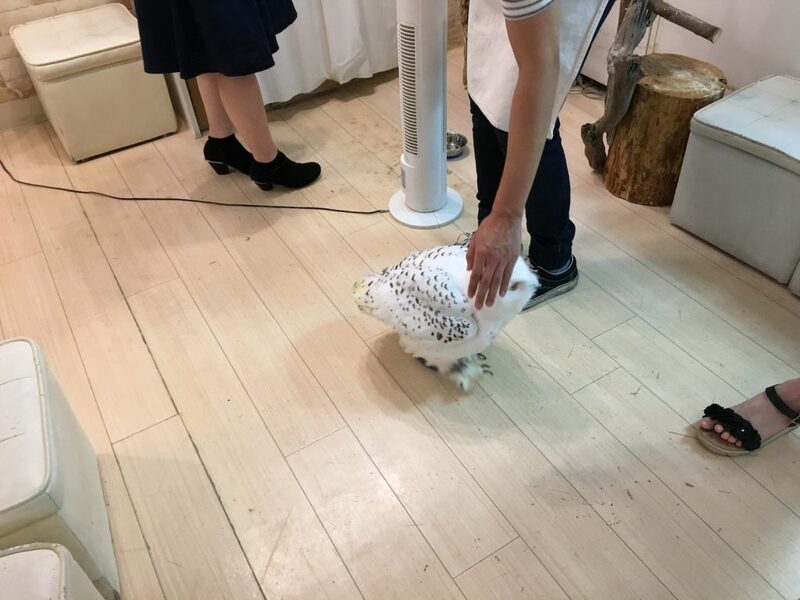 The best part of the experience for us was getting to interact with the owls. Choose to have an owl perch on either your shoulder or your arm. And yes, you also get to select the owl and it took us awhile to decide! 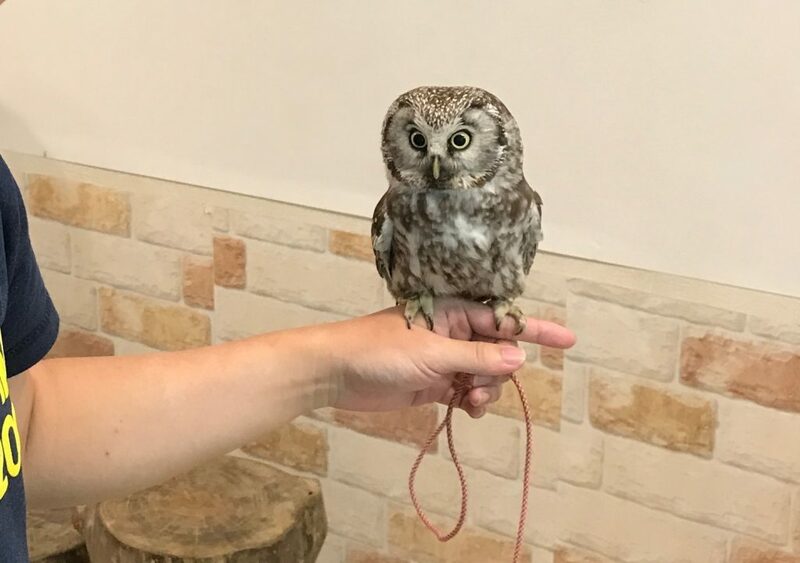 For the larger owls, you will be given a heavy duty glove to wear. A tiny warning though, like all birds, owls do poop. So look out! 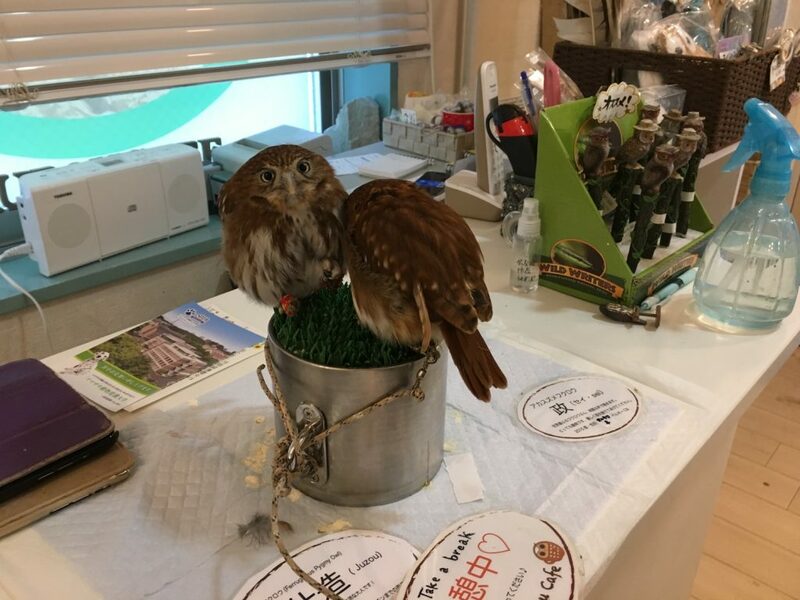 Each owl has a name and many have been with the cafe since they were born. A few were roaming freely when we were there and it was great fun to see all the reactions. 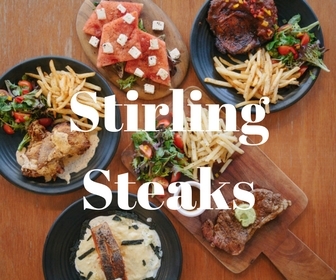 To avoid disappointment, we recommend making a reservation via email: [email protected] And visit their website (http://www.ikefukuroucafe.com/) for more information. Here’s a bonus tip, Ikefukurou Cafe is conveniently located next to the extremely popular Mutekiya ramen restaurant. 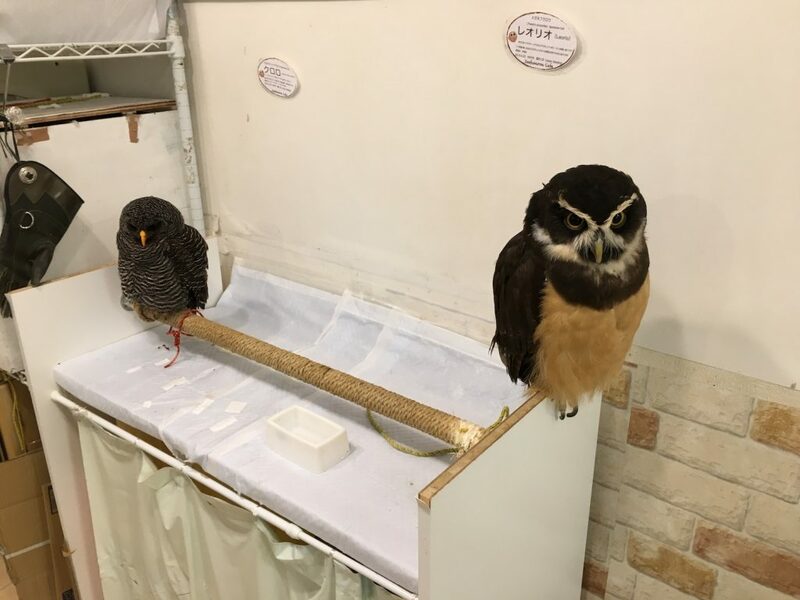 So enjoy yummy ramen before or after visiting these adorable owls! Ikebukuro is a popular entertainment and shopping district in Tokyo and you can spend an entire day just exploring the area. 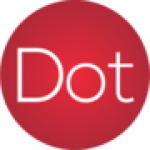 Next articleSME Internet Marketing: How to Get Started?